Sometimes you can't believe anything that you see. 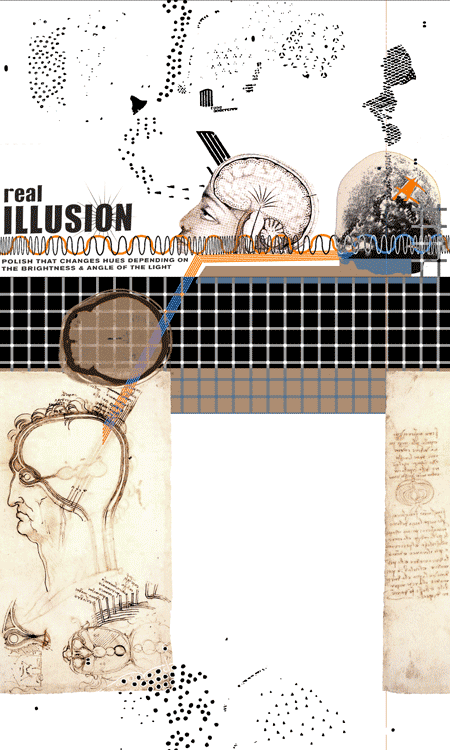 More importantly, the researchers have identified areas of the brain where what we're actually doing (reality) and what we think we're doing (illusion, or perception) are processed. Daniel Moran, Washington University assistant professor of biomedical engineering and neurobiology, and University of Pittsburgh colleagues Andrew B. Schwartz, and G. Anthony Reina, focused on studying perception and playing visual tricks on macaque monkeys and some human subjects. They created a virtual reality video game to trick the monkeys into thinking that they were tracing ellipses with their hands, though they actually were moving their hands in a circle. They monitored nerve cells in the monkeys enabling them to see what areas of the brain represented the circle and which areas represented the ellipse. They found that the primary motor cortex represented the actual movement while the signals from cells in a neighboring area, called the ventral premotor cortex, were generating elliptical shapes. Monkey thought it saw, then monkey didn't do.